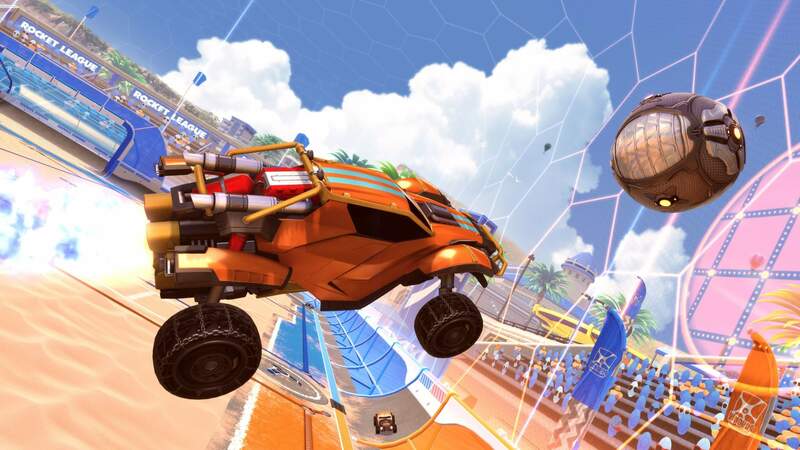 After more than a year of pressure, Sony has finally caved and is allowing full cross-platform play for Rocket League. The policy change came after continued nagging from RL fans and follows a similar allowance for cross-play support in Fortnite last September. “With special thanks to all of our friends and colleagues at PlayStation, we are thrilled to announce that starting RIGHT NOW, Rocket League has entered the PlayStation Cross-Play Beta program,” states the Psyonix press release. Previously the console maker only allowed cross-play between the PlayStation 4 and PC, even though developer Psyonix claimed clear back in 2017 that it could have cross-platform support enabled on the PS4 in under an hour if Sony would allow it. 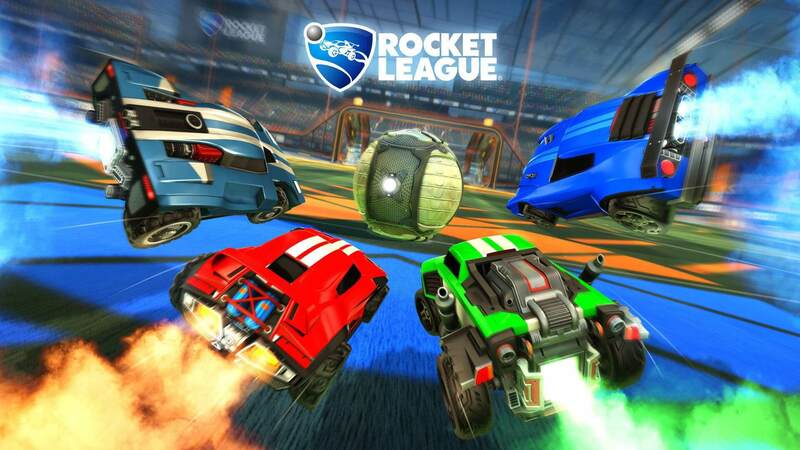 Now, PlayStation 4 users can play and compete with Xbox One and Nintendo Switch Rocket League players as well. As of today, Psyonix has enabled cross-play on the PS4 by default with only a few limitations. Currently, matchmaking is entirely random. When joining a public game, players are placed on teams randomly across all platforms. Players can create a squad consisting of friends, but only in a private match. Now all four platforms — PS4, XB1, Switch, and PC — can play Rocket League together. The studio thanked fans for their continued support and for keeping Sony's feet to the fire regarding allowing cross-play. Is this the beginning of Sony embracing cross-platform play? It is still a bit too early to tell. The console leader is still stonewalling cross-play on other obvious titles like Fallout 76, PlayerUnknown's Battlegrounds, and Minecraft. We’ll have to wait and see if its policies become even more relaxed as the next generation of consoles marches toward us. ForgottenLegion and Reehahs like this. I hope this is not a trend. Would hate to play some console games, wich I do because some are completly hacked out on pc , and ending up finding the same pc hackers. Cross platform between console and pc is a sensitive and dangerous subject. It'd be fun to smoke console kids left and right if cross-play opened up. My K/D on Overwatch would be fantastic. Wouldn't a better solution be for those games to fix their hacking issues than to silo all players to their respective hardware? You need to look into the subject more, because your shallow observation is assuming too much. First off, it is up to the devs to set up the matchmaking (and the anti-hack stuff). Generally, online competitive games where K&M is better will have them separated anyways (unless you opt-in as a controller user). Which means PC is getting separated for some stuff anyways. And if it's a co-op game, then that's a lot of new players in the pool to choose from. But most importantly, it means that the unnecessary virtual wall separating gamers is finally coming down. Why would you (a "gamer") hope that is not a thing? I'm sorry, but this just isn't an issue in a lot of PC games. I play a lot of PC games, the only game that I find hackers on a regular basis is GTA V. Most other games it's not hacking at all, it's just a player that's better than you. Overwatch, HotS, Dota, Starcraft, Battlefield, Insurgency, Counter-Strike, Quake Champions, PUBG, WW3, Ring of Elysium and Company of Heroes I've played a fair amount online in the past 6 months alone and only GTA V have I encountered a hacker, The rest of the games I lost is simply either down to team comp or I wasn't playing my best. It wasn't down to hackers. I'm bored of hearing "so many hackers on PC" when it's utter nonsense. You need to obviously consider hacking as a problem. Denying it makes no sense. I can be using a esp or 2d mini radar and you will have no idea that Im doing so. I dont want that on consoles aswell and Sony doesnt either. They want to protect their system as much. Rocket League and fortnite support cross platform on ps4 because those games are really hard to hack. Fortnite has the best anti cheat ever and they sue anyone that develops cheats (look what happened to engine owning). Stating that cheating is not a thing "because I only found one in gta v" is not a valid argument. We need to look at facts, and the facts are: there are esp hacks for a lot of games. Wether or not you will notice someone using them is subjective, depends on your region (with europe being the worst as cheating market is mostly Germany and Russia based) and your luck or also if you ever noticed one. As I said before a subtle esp hacker is almost impossible to spot. Obvious aimbotters are rare of course and easy to ban. But thats not the only type of cheating. You can ignore or deny this problem if you want but it does exist wether you "notice" or not. Oh yeah defo, the problem is that they dont fix it so yeah..
Oh dear... Let the salt run through you padawan! What stops you from using a controller for what? To get psychic powers? To run super fast because you're now using a joystick? Make some sense and use your words man. Heck, I have a funny feeling you have literally nothing to worry about. Cross-platform play good. Psychic "look-through-walls" controller bad. He is still making shallow assumptions, and then not conveying what he means properly. At this point I don't care, hacking isn't as rampant as he wants us to believe. Hacking is rampant depending on the game. If you talk about Overwatch, Fornite or Heroes of The Storm, yeah, I never seen a hacker in my life and I don´t know about any hacks for those games. But if we talk about the games he mentioned, call of duty series or battlefield or counter strike, oh dear the hacking is a reality. Ignoring the problem is not a solution. Sure that´s not our fault and cross platform is a good thing, but if a game is heavily hacked on PC crossplay is not welcome on those games. Imagine FIFA 19 cross play between PC and Xbox/PS4 and the PC dude uses the no loss glitch with is a 200kb .exe.... See what I mean? That´s not good, because on xbox or ps4 you can´t do that kind of stuff. If you get matched against people that can do it, you have a problem on your eco system. Sony doesn´t want that, simple. Again, it depends on the Devs. I doubt PC vs Console will be negatively forced with competitive games (it hasn't so far). And I'd rather have the option than be against it just because something could happen. No informed person should be assuming the worst like 144hzGamer. The competitive games he mentioned (if they implement it) will be tested and most likely separated by type of platform (where console players play together, with the option to let them join a PC server). Less competitive could potentially be separated by accessories if needed (controller and K&M). If sony wants to be that way I wouldn't give them **** and just continue to use the pc version. But if we talk about the games he mentioned, call of duty series or battlefield or counter strike, oh dear the hacking is a reality. Counter-Strike as well, Hackers get called out and banned, yes it happens but again, a fraction of the amount of time. Stop making it sound like they have serious issues, Counter-Strike is a twitchy shooter, I've got a friend who plays it quite seriously (him and his team nearly won the jackpot at i58 I think it was) and I've played against him and I could have sworn he was cheating. The speed he could headshot me the moment I peaked round a corner was incredible. I can't talk for Call of Duty though, last one I played was Modern Warfare. Do you know where I recently ran into the worst hacking? Nintendo Switch, Mario Kart 8 Deluxe. It kept matchmaking me with a guy who was clearly cheating, literally teleporting around the map. He would jump right off at the start so the moment the race started, he was half way around the map, then he'd hang back a bit, then suddenly teleport ahead, objects didn't damage him if you were lucky enough to get a blue shell or watch him just go straight over banana peels. That was far more frustrating than any Hacking I've encountered on PC, mainly because, there are no server admins, there is no way of reporting him in-game and the fact the game made me race him 5 games in a row (I left to let the matchmaker find me someone else) it seems the game has no built-in anti-cheat system either! I did screenshot it all and put it up on a forum post in hopes that someone at Nintendo see it. Again, far more frustrating than any PC hacker I've encountered, and I play primarily on PC. Didn´t mention Nintendo Switch; also Switch can be jailbreak so I guess there are hacks for that system. you can´t jailbreak and go online on a PS4 or Xbox One X tho, and that makes all the difference. As for Battlefield. Battlefield 3 and 4 have server admins wich sometimes can spectate you and decide to ban you. Sometimes fairly, others don´t. But Battlefield 1 and 5 do not have admins; the servers are all hosted by DICE. Battlefield uses FairFight wich isn´t even an anti cheat, is just a stats analyzer. So if you have 70% headshots with a shotgun, it will kick you, for security reasons. However if you are running 2d maps or walls, fairfight can´t do anything and those hacks are free on google, you just need to search and find them for yourself... Now how could I possibly be 100% assured that someone is walling on BF1 or BF5? Get my point? No way to know; I can literally be in a round with 10 hackers and I will never know. I tried one of those hacks just to see how it works and if it is that easy, and yes it is. You don´t even need to install anything, just run the .exe, select your colours and hitbox sizes plus a few settings and done. For free, available for anyone to use. Wich makes me think a lot of players use it. BTW there´s a massive topic about this on BF5 official PC forums, if you care to take a read. Black Ops 4 same story. Specifically in Blackout mode, with the difference that these are paid cheats. But there are a lot of guys using them and again, is all on activision forums if you check it. While some players do have great skills, some also cheat. This is a fact. And this is why some people will make hackusations if you are good. I play what I consider the most skilled gap game of all time: Quake. I play it for some time so newcomers and even good players have absolutely no chance if I´m in the lobby, because the skill gap on this game is huge. I simply destroy them, as much as I get destroyed by a pro Quake player (wich are the best mechanical skilled players in the world). They call me hacker too sometimes. But they do it because they know Quake has a simple hack on google aswell,, that costs nothing. While other dudes are hacking and they might not have an idea. Quake has so much skill tho, that even a hacker has a hard time against an experienced player, but this doesn´t happen in other games where knowing where everyone is, is a massive advantage. Contrary to Quake. Bottom line, what 144hzgamer tried to tell is that cross platform can be tricky on some games. I got his point since the beggining and I do agree that Devs are the ones responsible to take care of cheating. But considering they simply don´t do it for the majority of their games, avoiding cross platform is the most logical thing to do. There´s also a trainer in Mortal Kombat and Tekken on PC to quit the fight when you are loosing and it doesn´t count. You can´t do that on console. Now imagine Sony tomorrow announces cross platform between PC and PS4 on those fighting games, and PS4 players start to get cheated by those dudes? Game ruined, like they are ruined on PC (Mortal Kombat has 300 players online peak time and Tekken 500, so they are basically dead). This is what 144hzgamer wanted to say, I´m sure. And I agree with that. Cross platform is great for the industry, but need to be careful about wich games you allow the cross platform. I´m sure Sony is aware tho.